Ethernet switches, routers and gateways have their distinct purposes and it is important to test their performance well. During R&D and DVT products are usually tested on L2/L7 while in production basic L2/L3 tests are usually sufficient. For those who follow testing methodology RFC 2544 and RFC 2889 are also available. 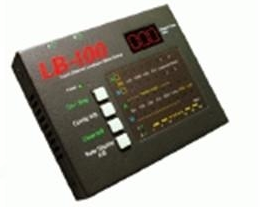 IP traffic packet generators/analyzers for 10/100/1000 Mbps, gigabit and 10 gigabit with PoE options are the most important test instruments to ensure Ethernet switch or router product quality is verified. 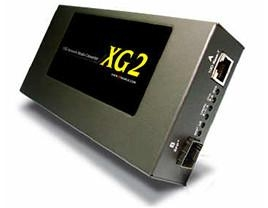 Gigabit TAP analyzers, media convertors, production test software suites and Ethernet cable emulators are additional tools used in conjunction with stream generators to help ensure fast development cycle and high quality. 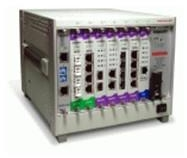 Our IP performance test systems are economic and known worldwide for excellence in quality and service support. Is an ideal test beds for lab design, troubleshooting and mass production test of network products. Supports 10G Ethernet, Gigabit Ethernet and 10/100 Mbps Ethernet. In general, to perform a loopback test requires two test ports on both packet generator and DUT/NUT for transmission and receiving of test packets. It may not be available to do the loopback test in real network environment if the network under test is located far away from the packet generator with only one linked network cable. A test chassis with power load modules that act as PD (powered device) of PoE (power over Ethernet). 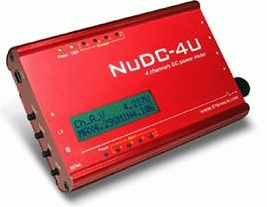 It can support up to 16 modules (for power that is less then 20 Watt) per chassis and they are able to be cascaded as a chain with more test modules for more DUT.